Lisbon is the capital of Portugal and lies on the north bank of the Tagus Estuary, on the European Atlantic coast. It is the westernmost city in continental Europe. The city lies more or less in the centre of the country, approximately 300 km from the Algarve in the south and 400 km from the northern border with Spain. Lisbon is an ancient city full of history and cultural traditions, where magnificent palaces, monuments, and churches abound. Bordered by one of Europe's widest rivers, the Tagus, the city spreads across the slopes of seven hills and down to the ocean. At its heart are wide, tree-lined avenues, mosaic pavements and street cafes. Seen from the river - one of the city's many great viewpoints - Lisbon is an impressionist picture of low-rise ochre and pastel, punctuated by church towers and domes. Lisbon offers a wide variety of options to the visitor, including beaches, countryside, mountains and areas of historical interest only a few kilometres away from the city centre. 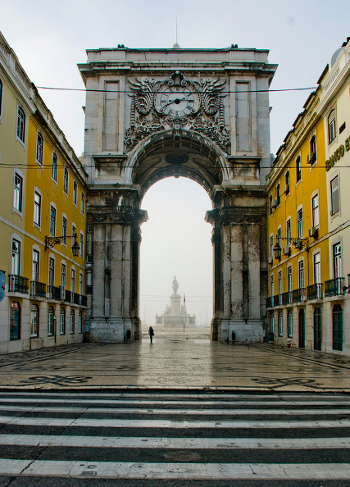 Lisbon is also a modern city with lots to offer in terms of culture, history and social life. Lisbon city centre is a lively and busy hub, full of traffic. Therefore, if driving can be avoided, then it should be. Lisbon has a good public transport system that tends to make driving unnecessary. It is also connected by a good rail service and motorways, however the drive from central Europe can take some time. The best ways to get around Lisbon are on foot, via Metro, or on the many tram and bus lines. Taxis are readily available, and commuter trains serve nearby resort towns like Estoril and Sintra. The metro in Lisbon is in general safe, and is the quickest way to travel. There is an extensive network of buses, trams and funiculars in Lisbon. 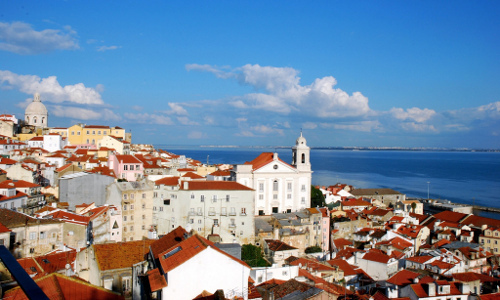 Lisbon has a mild climate and is blessed with a cool Atlantic breeze and long hours of sunshine. In October the weather is pleasant, with an average maximum temperature of 24ºC and average minimum of 16ºC, with little or no rainfall. Add to that its cultural diversity, laid-back feel and architectural time warp, and you have one of the most enjoyable cities in Europe. The delights of Portuguese cuisine are also a tradition not to be missed. There are restaurants of all categories and for all tastes, from the most luxurious to the simple tavern where visitors will be surprised to find how low prices can be. Local specialities fish and shellfish - all well worth trying. Among dishes which should be mentioned are fish stew, grilled sea bass, sole, dried codfish, shell fish rice, grilled lobster, stuffed crab, etc. The airport of Lisbon has frequent flights to the larger European cities, and also to North and South American cities. It is very easy to fly to Lisbon, from anywhere in the world, and a number of low cost companies already operate connecting it to several European airports (Paris, London, Madrid, Barcelona, etc.). See more pictures by flickring Lisbon.. The compound of Fundação Calouste Gulbenkian consists of a set of buildings within a large well-tendered garden, with a nice architecture, providing a very serene environment. The site is close to the city centre, is well served by public transportation (particularly, the metro) and has a significant choice of hotels in its vicinity. Fundação Calouste Gulkenkian is a Portuguese private institution of public utility whose statutory aims are in the fields of arts, charity, education, and science. 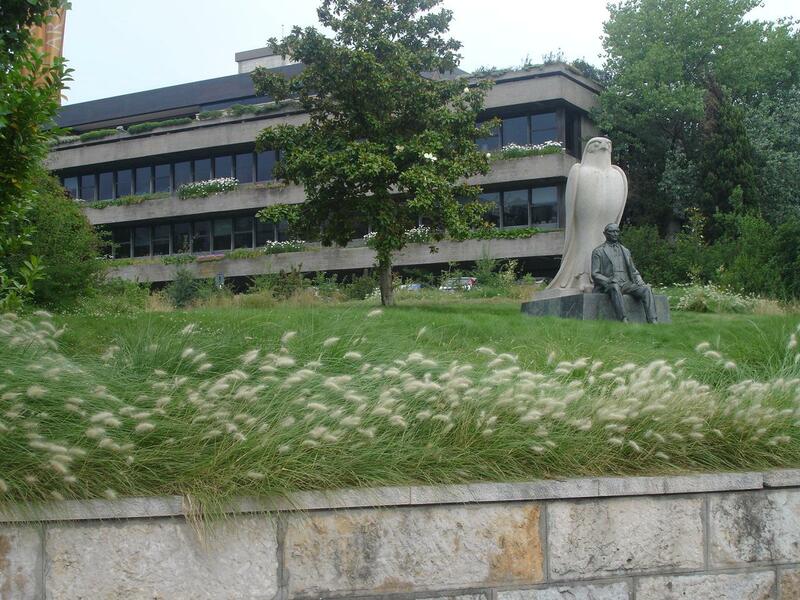 Created by a clause in Calouste Sarkis Gulbenkian's will, the Foundation's statutes were approved in 1956. In addition to the areas occupied by the Foundation’s management and various departments, the premises include a large auditorium, a space for temporary exhibitions, a congress area with auditoriums and other rooms, as well as a large building, which houses the Calouste Gulbenkian Museum and the Art Library. The entire complex is set in the Gulbenkian Park, where participants can go during break times, and which was designed by Ribeiro Telles, a very well known landscape architect.